Yeah, it’s been a long time since the last update. But it’s also been a long time since there has been any work going on at the Ormsby House, at least any work that was visible from the outside. So I’m just going to combine three months worth of updates and clue you in on the scant few things that have happened over the summer at the Ormsby House. You’d think that summer would be a good time to do the outside work that still needs to be done, wouldn’t you? Well, that’s reasonable, but wrong. The one thing they did do, though, was something that was badly needed. 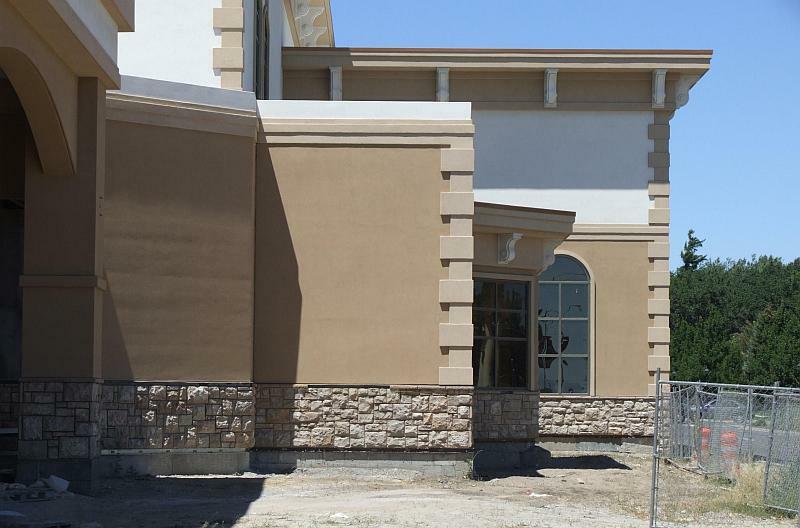 Over a few days in July a crew came out and finished the rockwork along the outside of the casino. 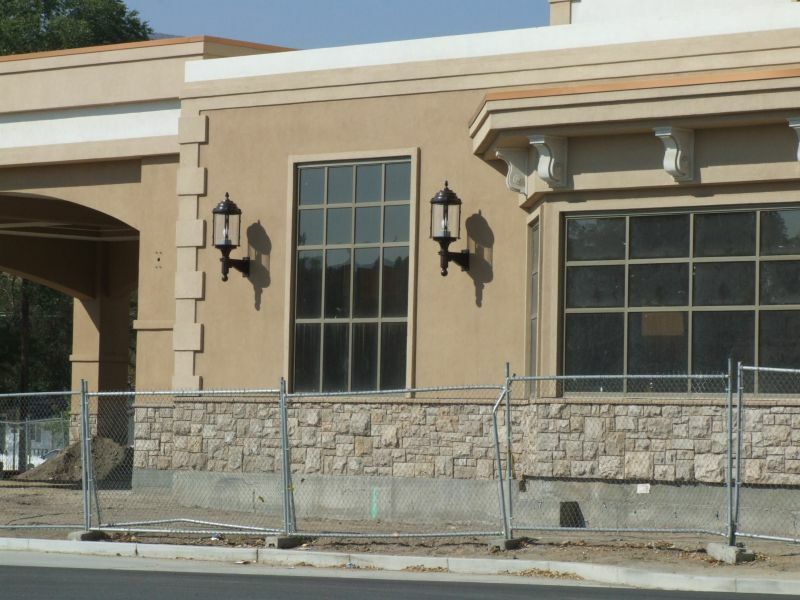 If you’ll remember, this is the rockwork they abandoned last year, half finished, and left undone for months and months. They finally finished it. Well, not completely, but close enough. There are only a couple of feet still undone. In one of the most exciting developments of the month of August (no joke), a height clearance sign was installed on the bridge over Curry Street. 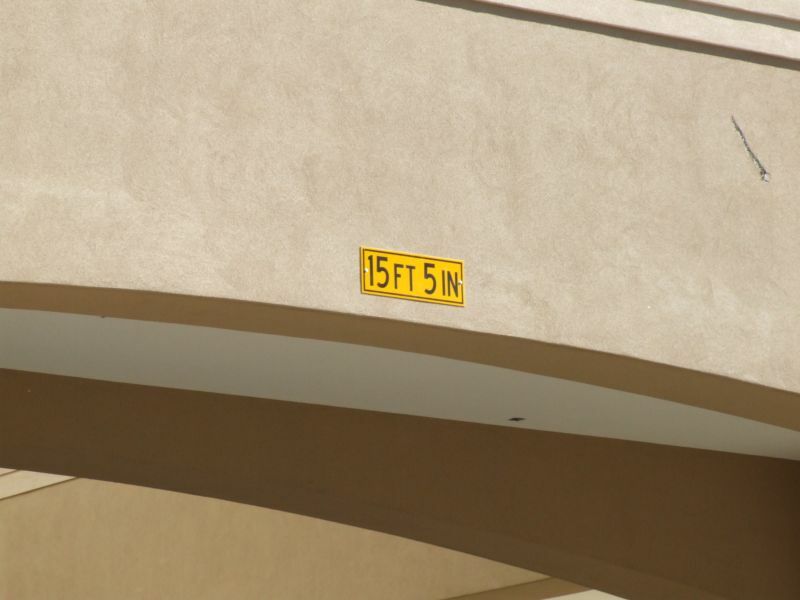 So now we all know that you have 15 feet and 5 inches of clearance if you’re carrying a tall load down Curry Street. Thrilling. In September there was some big stuff going down inside, and you could peek in from the outside to see what they were doing. 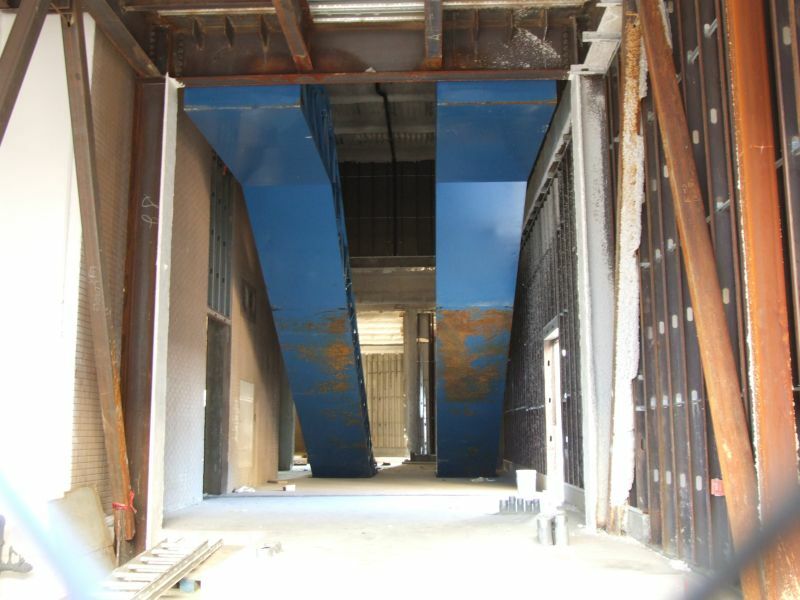 The infrastructure for the escalators, which will take guests up and down between the casino floor and the bridge to the parking garage, was delivered and installed. The escalators sit in the new expansion space they built to the south of the old building. You can see what used to be the outside wall of the hotel tower there to the left, and the new wall they built to the right. The rusted (rusted?) escalator frames squeeze just perfectly in between. This also clears up the mystery of the big hole they left in the back of the building. 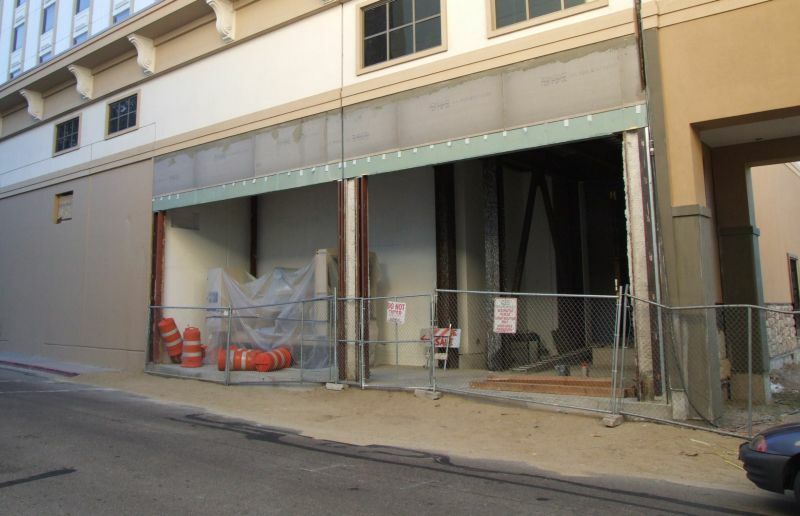 For over a year now, ever since they finished the exterior stucco, there has been a big gaping hole in the building. I always wondered why it was left there, like an open sore on the building. 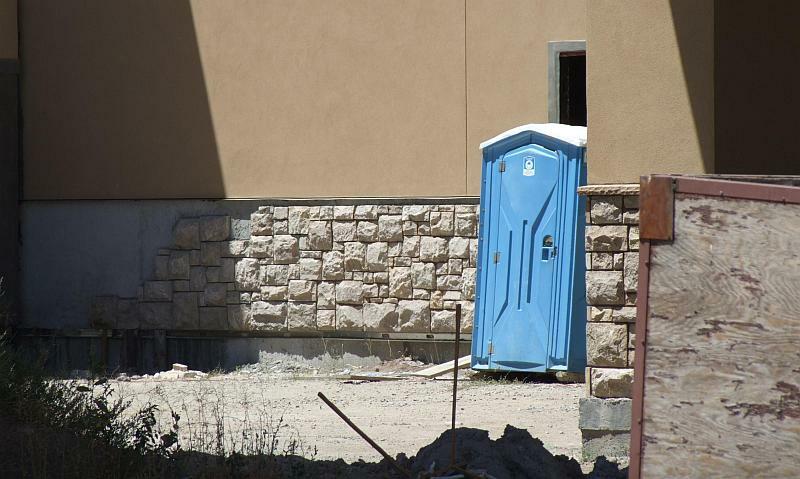 I figured they needed a large access hole to deliver things inside. And I turned out to the right. It was left open so they could get the escalators in there. 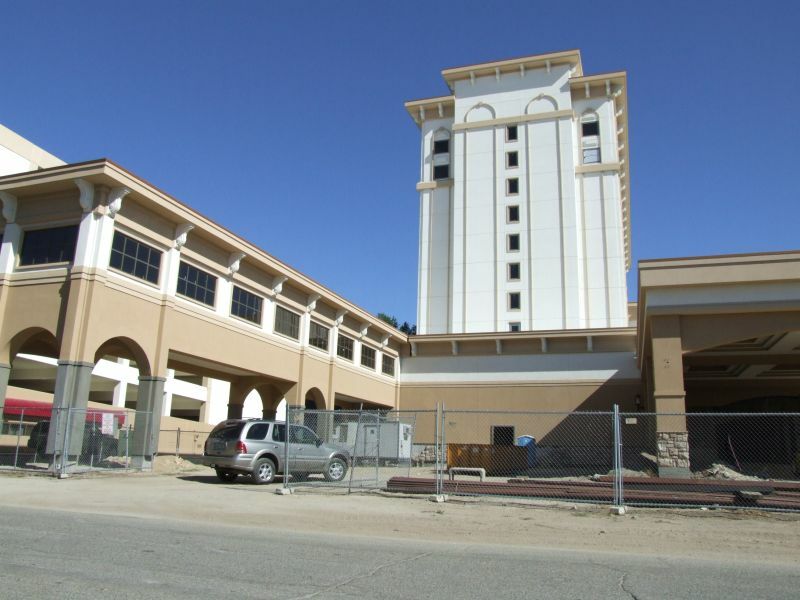 And in another development, they’re finally starting to put some of the finishing touches on the outside of the casino. 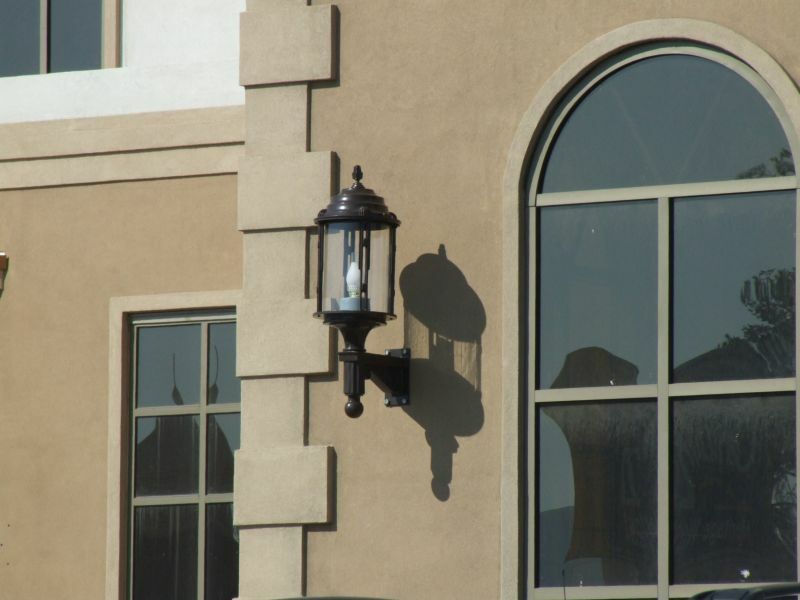 During September a couple of guys got up on ladders and installed these light fixtures along Carson Street. It’s a small touch, but it’s nice. They’re gorgeous lights for one thing, showing that even though they’re slow in implementing it, they do have a solid vision for how they want the project to turn out. And also these little things like lights, awnings, and signs make the Ormsby House look less like a construction zone and more like a real building. It’s horrible that they’re taking so long, but little things like this make me confident that when it is done (if they ever get there), it’s going to be worth it. That’s it! There’s no telling when the next update will be, since it all depends on how much work they get done this fall. Have patience!